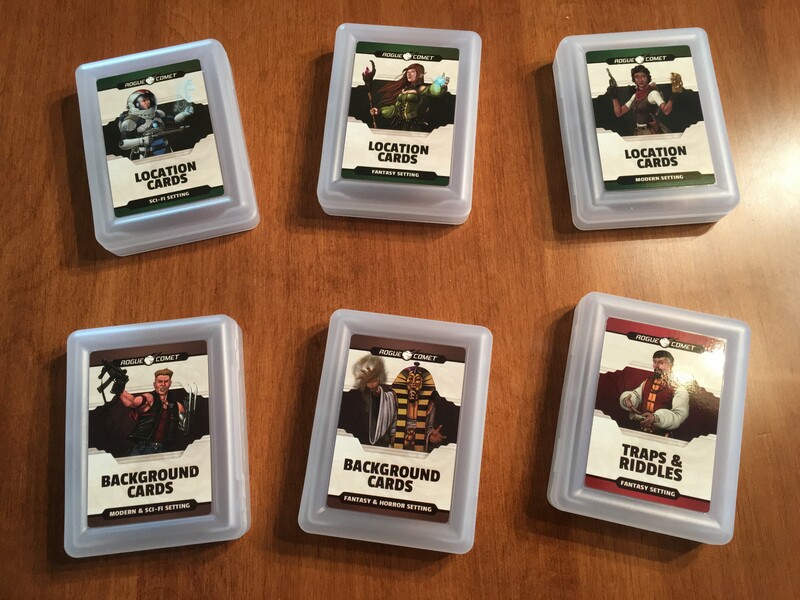 I want to share some cool photos of the card decks and cases from our Adventure Location Cards deck series. 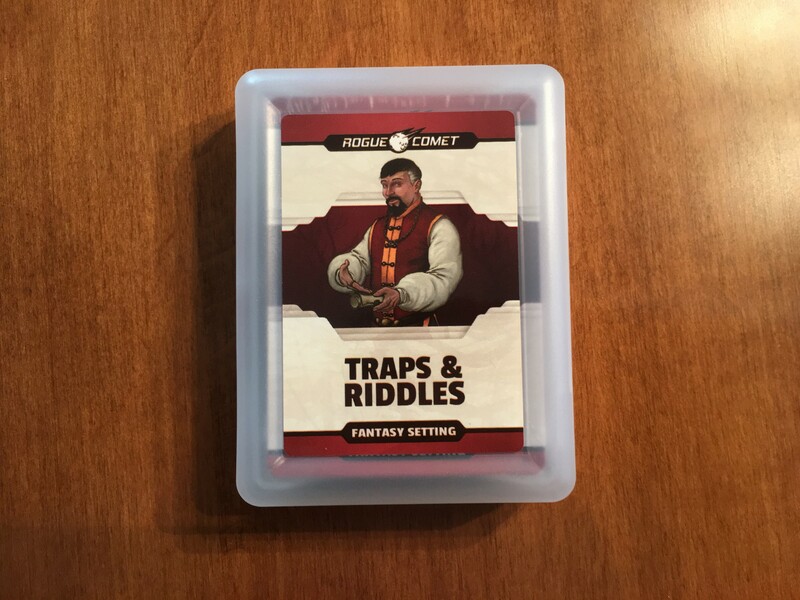 If you’re a Kickstarter backer, I’ll also give you an update on surveys to verify your address, along with information on when you can buy add-on decks. Surveys are going out today for all backers! We decided to use the Kickstarter built-in survey software. If you’re getting physical copies, you’ll get an email that asks you to confirm your address. You’ll be able to make changes to your address through Dec. 31, after which time we’ll lock down the addresses as we prepare for final shipping. 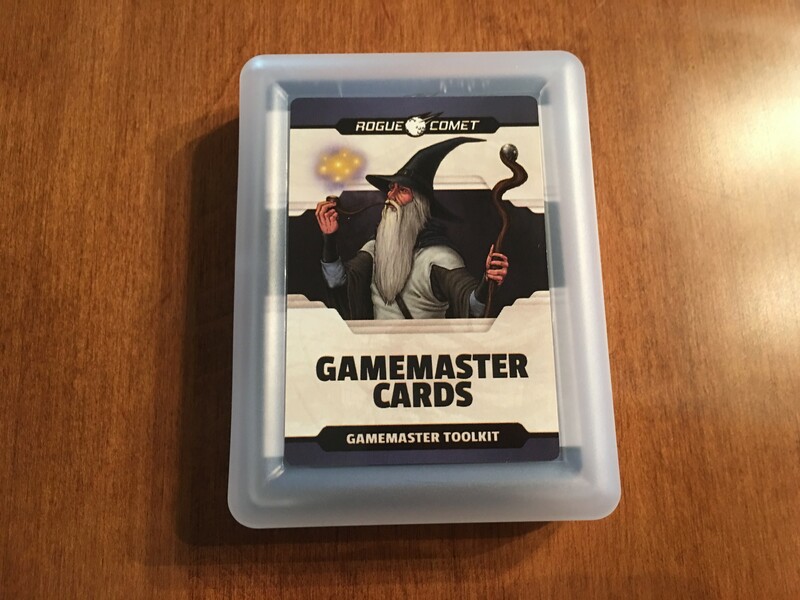 If you are a backer who wants to add additional card decks, since we’re using Kickstarter instead of a separate Pledgemanager software, the first opportunity to add new decks will be around late January. We hope to have our online storefront setup by then, and we will send out information on how to buy additional decks at that time. 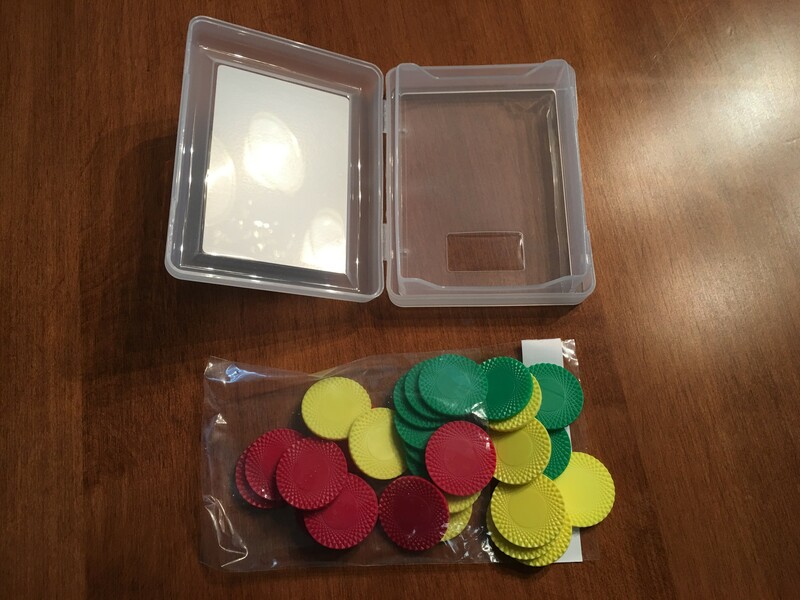 We finally landed on using deluxe plastic cases that have the picture of the card deck on the front. They look pretty cool! These turned out better than I expected. Here’s a gallery of various photos of the products. We’re still on track to ship in January. We’ll send another update late in December to remind folks to fill out their surveys. As always, thanks for your support and your patience. I think these final products look great! We had a great time debuting our products at the North Texas RPG Con in June, 2017. 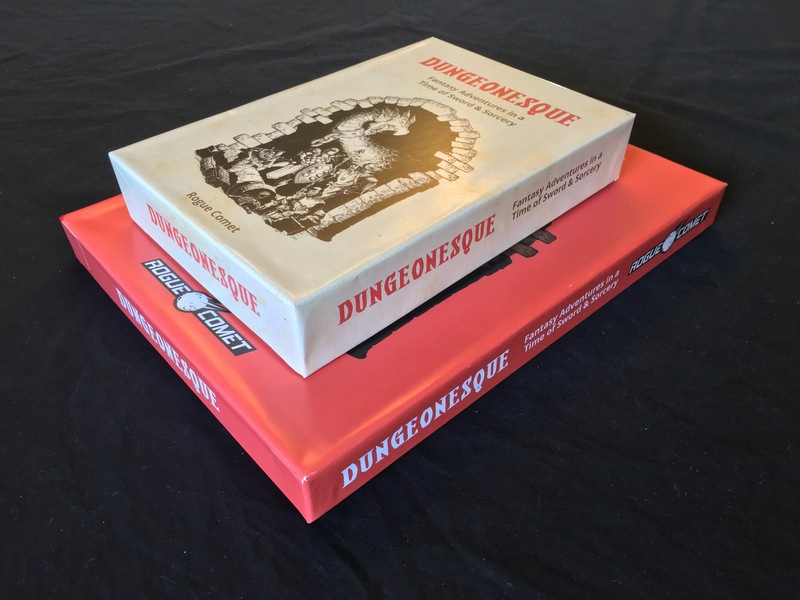 Our Dungeonesque Red Box was on sale. Two new updates I wanted to share with you! First up, we just launched a new Kickstarter called Chronicles RPG Kit. 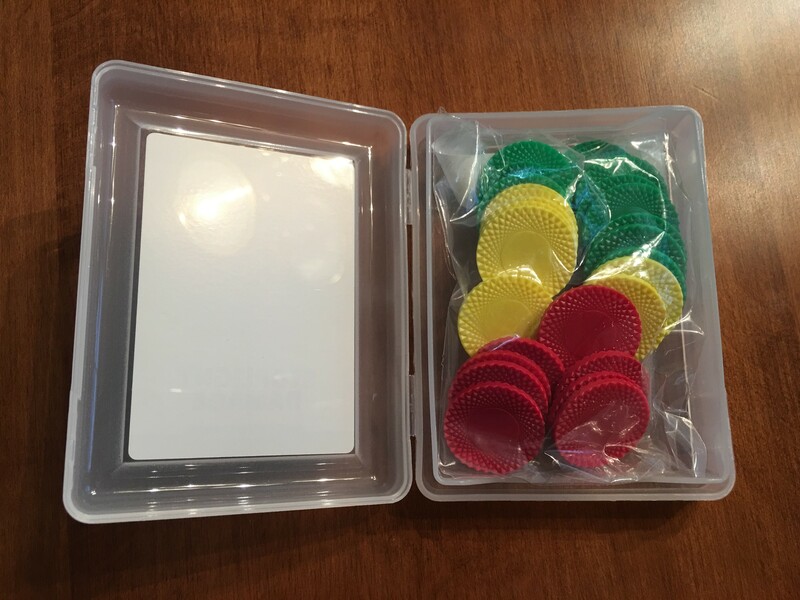 Inspired by Kickstarter’s make/100 initiative, I’m sharing a few tools that I’ve been using at my home games with great success. 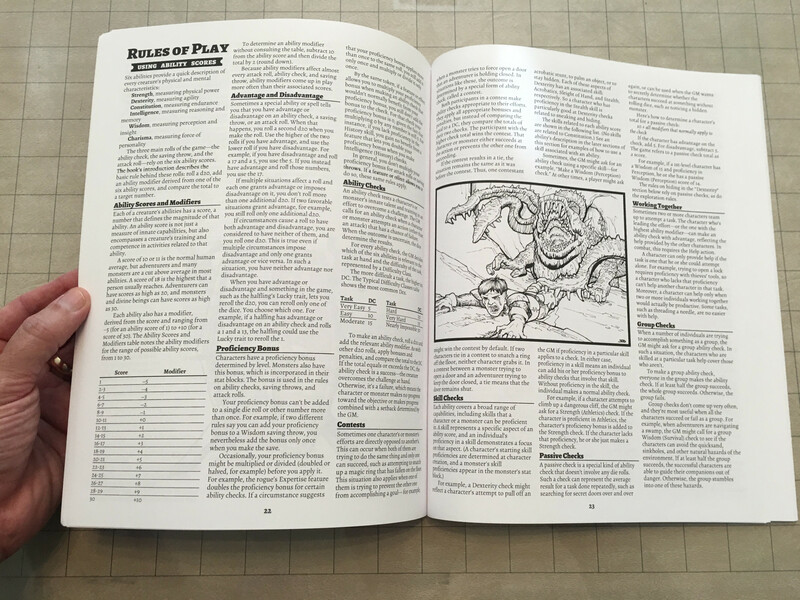 The Chronicles RPG Kit is a series of system-neutral, old-school booklets with tools to help you run well organized, dynamic roleplaying games. 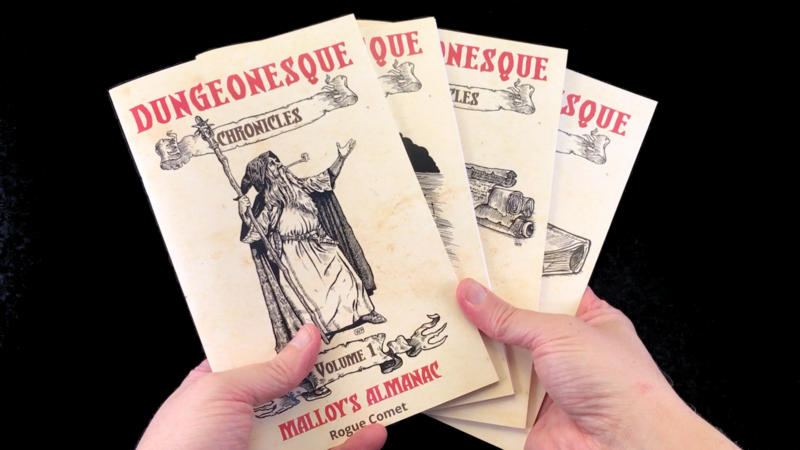 I’m particularly excited to share Malloy’s Almanac, which is a cool booklet I’ve been using in prototype form for many months to run dynamic, no-prep games. I love it! Backers are capped at 100, so get them while you can! A few days ago I got the proofs for the Red & White Boxes. Thought I’d share the pictures below of what that looks like. The printouts on the left are to verify the layout. The printouts on the right are to verify the colors. It all looks great and I OK’d for the print run. We’re on track to ship in late February or (more likely) March. I’ll continue to keep you posted! Backers pledged $113 million to tabletop game projects in 2016 according to numbers released by the company. That represents a 28% growth rate over last year’s $88.9 million in pledges (see “Tabletop Games Pass Video Games on Kickstarter”). 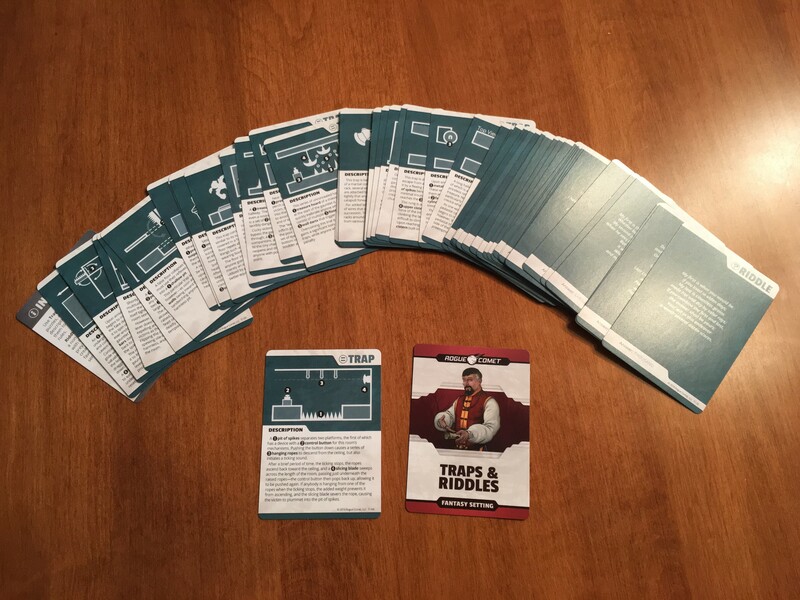 Tabletop games projects had a 55% success rate on Kickstarter. On a related note, Roll20.net hit 2 Million Users. That’s a lot of online roleplaying gamers. What a great time to be a roleplayer! 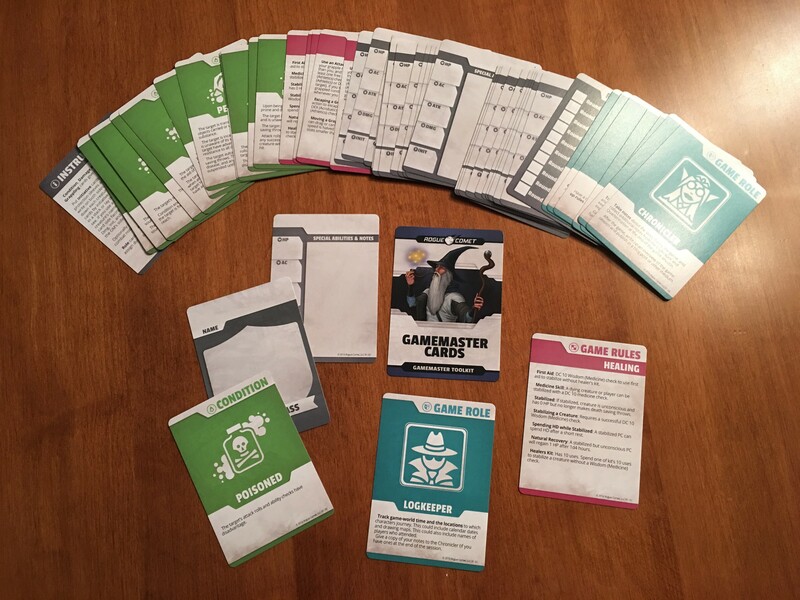 We’re waiting on print samples from DriveThruRPG before we send out print codes to Indiegogo print backers. I’ll be sending out PDF copies to Kickstarter Box Set backers soon. Print copies for the Kickstarter Box Set backers will ship when the boxes ship which is still many weeks away. Rogue Comet is proud to recommend TheWarStore.com as a premier retailer carrying a large range of miniatures and other wargaming and RPG supplies. They also carry discounted RPG and board game products — check them out! Wanted to give you an update on printing and final delivery of the project. Quick summary is that although I still don’t have final resolution on the DriveThruRPG print cover issue, I have other very good news. I’ve set up a Lulu print-at-cost option for our Print backers which provides even more flexibility! Read on for details. 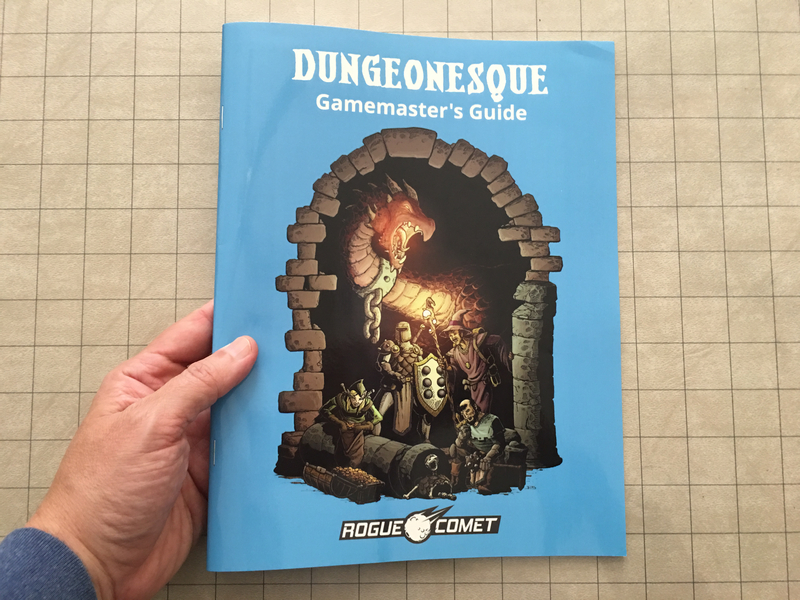 If you’re a Print backer, you’ll be getting a Backerkit survey email which has a private Lulu.com URL where you can order print-at-cost copies of the Dungeonesque GM’s Guide and Players’ Guide. These come in two versions: stapled booklets or coil-bound (also known as Spiral Bound). Lulu.com copies will be available for a limited time — probably about two months — before I decommission the URLs, so get them while they’re hot! 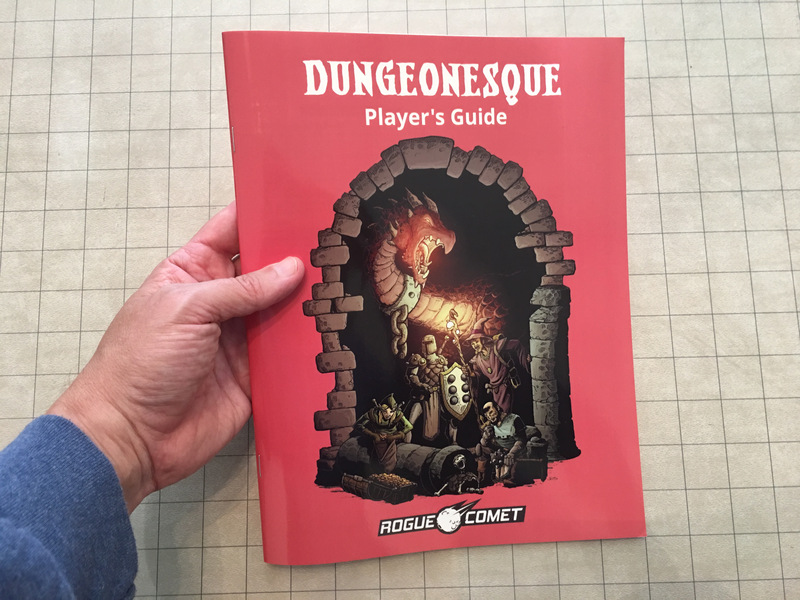 Many folks are using Dungeonesque now in their home games, so I’m releasing these print URLs to backers now, even though my proof copies have not yet arrived. I’ve done a lot of printing through Lulu.com through the years, so I don’t expect there to be issues, but to be on the safe side, I’d recommend you not order copies until about two weeks from now after I’ve seen the proofs and send out an update confirming how the proof copies look. But, if you don’t mind being on the bleeding edge of new products, you’re welcome to go ahead and order some of the books. 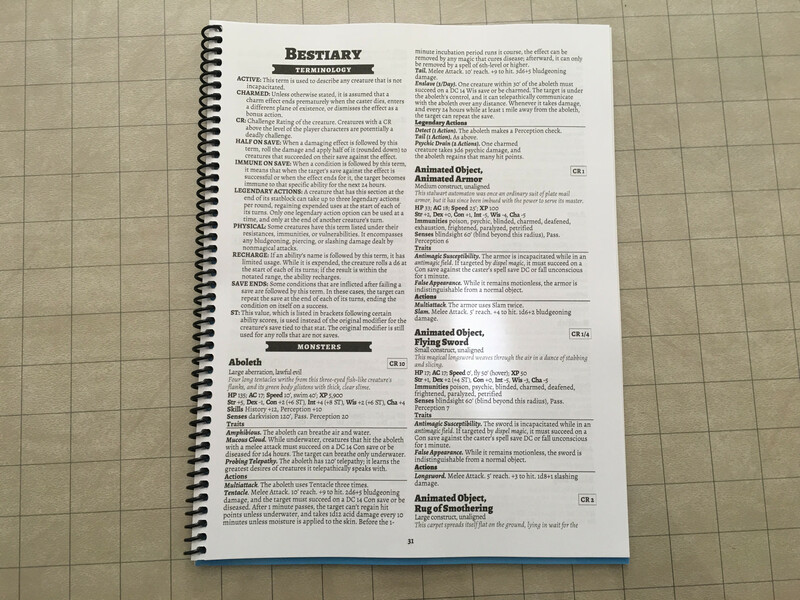 Unlike DriveThruRPG, these aren’t single-use codes, you can order as many of these copies as you like for now (again, for about two months). Lulu often runs specials. They have a coupon code right now — OCTSAVE30 — which gives you 30% off books and is good through Oct. 10th I believe. No worries though if you wait — they often have coupon codes so they’ll come up again over the next couple of months. I believe Lulu.com might be better for some European backers since I believe they have better shipping and distribution options for many countries than DriveThruRPG. 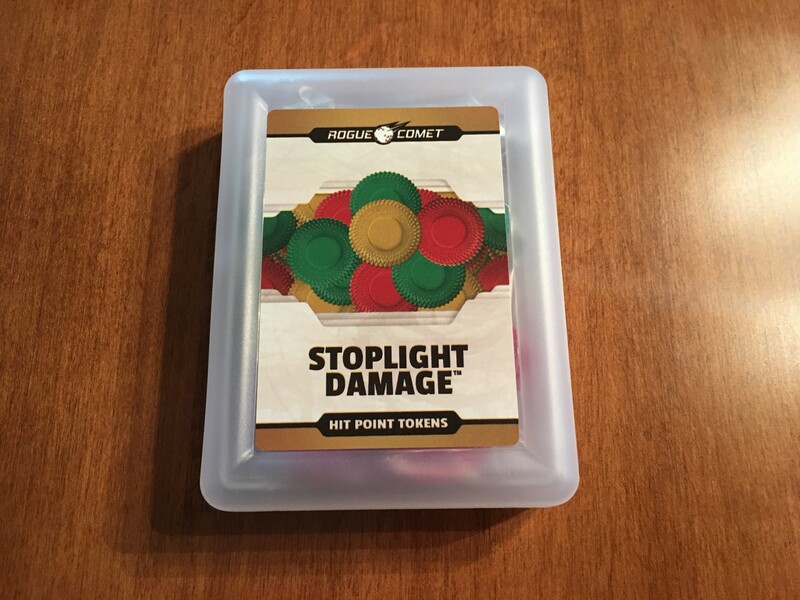 Back to the DriveThruRPG issue: I finally found a software method to identify the pesky print-saturation issue on the cover that has given DriveThruRPG hiccups, so now I can address the issue scientifically vs. the trial-and-error method I was using before. Probably another two weeks to get DriveThruRPG printing approved and have the print-at-cost codes to backers. I will give you another update in about two weeks on this. 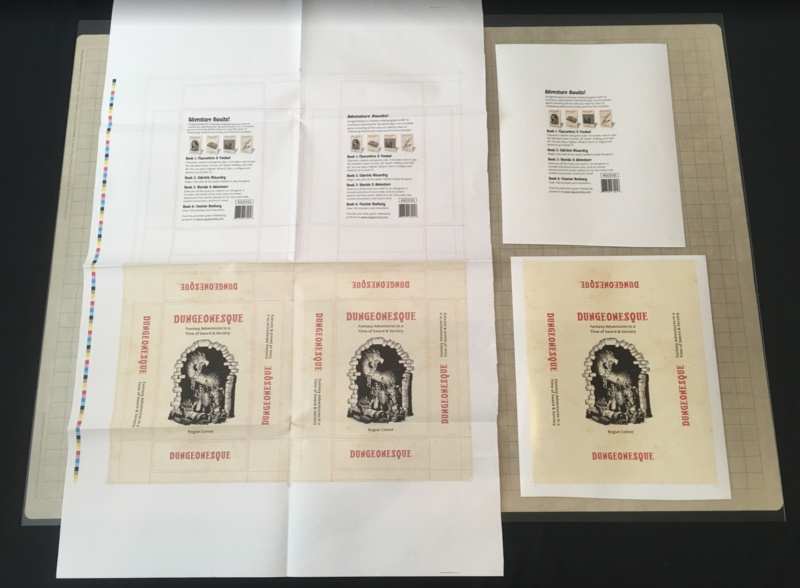 Also, in about two weeks when we have the final announcements for the print codes, we’ll also be releasing a DIY (Do It Yourself) kit with templates to do you own custom covers for printing at home or through private printings at Lulu.com. Whew! So happy we’re close to having all this wrapped up and in your hands. Thanks for your support! I’ll give you another update in about two weeks when we should have final proofs in from Lulu, and print-at-cost codes from DriveThruRPG. 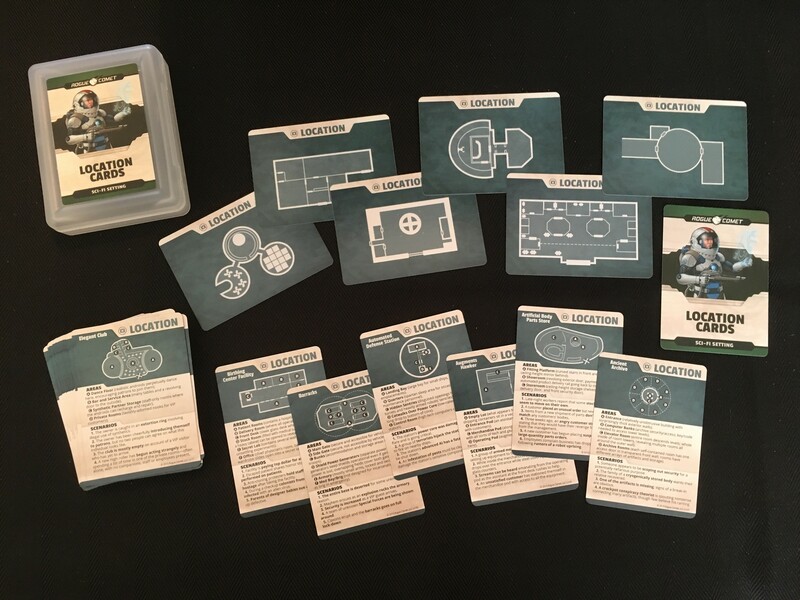 Here’s a quick progress update on products we’re working on, plus some exciting news about work opportunities at Rogue Comet, and feedback we’d like to get on an upcoming Universal RPG system we’re working on. Barrowmaze author Greg Gillespie and Rogue Comet have partnered to bring you Barrowmaze Complete for 5e! 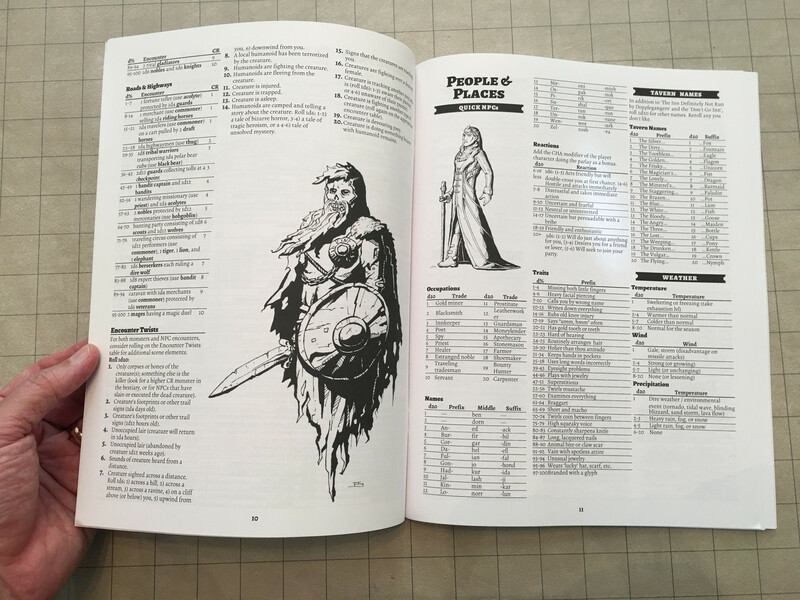 This classic megadungeon gives you nearly 300 pages with over 600 rooms of old-school dungeon awesomeness to use in your D&D 5e games. The art is simply amazing and includes a cover by TSR alumnus Erol Otus. I’ve run these adventures for years and I highly recommend them! This is about 10 classic modules worth of content, packaged into one volume. Learn more about the Barrowmaze Complete for 5e Kickstarter. We’re in the early stages of designing a new, universal RPG system that would support multiple genres such as Sci Fi, Modern, Horror, and Fantasy. Interested in doing freelance work for us? Rogue Comet is rapidly expanding and is always on the lookout for new talent. Please fill out this form below and we’ll keep your information on file for potential future work. Work is still progressing. We’ll release a new set of Red Box RPG PDFs in the next few days which corrects a few errata. 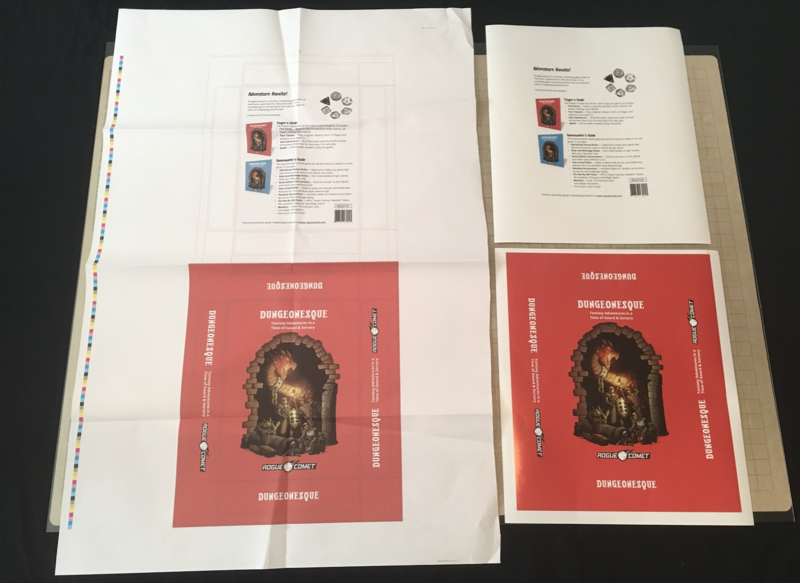 We are still working to resolve the ‘print saturation’ issue we’re having with the covers printing through DriveThruRPG — either the large red or large black print areas are causing problems. We’ll be doing another round of Photoshop and InDesign tweaks and hopefully we’ll have this resolved soon. We’re really bummed about these delays caused by unanticipated heightened art requirements at DriveThruRPG, so I’d like to do something to make up for this. Over the next 2 months I’ll be creating a new three-part 5e adventure that will form a mini-campaign for 12+ hours of play. I’ll give your this free adventure as a gift in appreciation for your patience. It will be an adaptation of some material Michael Prescott has produced, combined with material I’m designing myself. I hope you enjoy it! Work is still progressing. 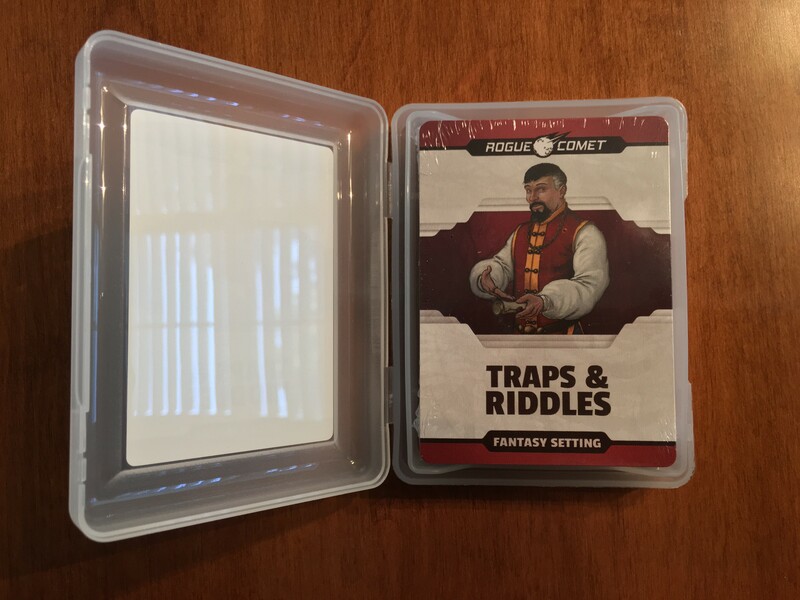 We’ll release a new set of Red Box RPG PDFs in the next few days which corrects a few errata. We’re also starting layout on the White Box PDF set. We are still waiting to get a firm date from the box manufacturer, but we still expect to have the boxes in and box sets shipped before the end of the year. We are also working on the digital stretch goals products and should be able to deliver those in the next few weeks. Closer to ship date we will have a pledge manager set up to allow folks to add on any additional items they like before the products ship. In a day or two Kickstarter will finally release the funds from the Kickstarter to us. We’re lining up artists and writers to work on the over 300 cards we’ll be producing. We will have a pledge manager available for folks to add more cards to their order but we won’t send this out until closer to the ship date. Why are we waiting? Well, I can’t make promises, but we’re prototyping another RPG card concept, and if it’s ready in time, we might add this additional product to the pledge manager. So stay tuned — the pledge manager email will go out but it will be a few more months, closer to the ship date.